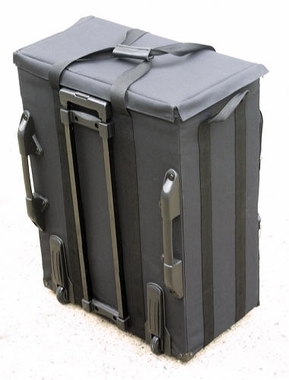 This top-loading case features 3” inline skate wheels and a built-in telescoping handle. 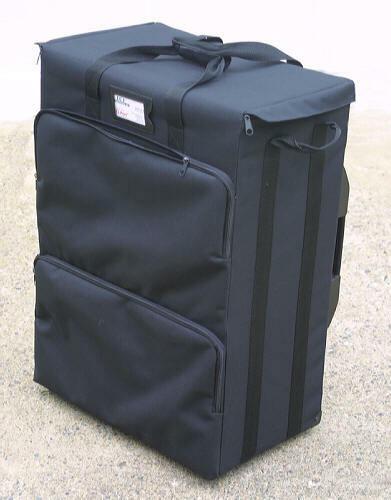 Two zippered compartments on the outside for sales literature, order books, and supplies. 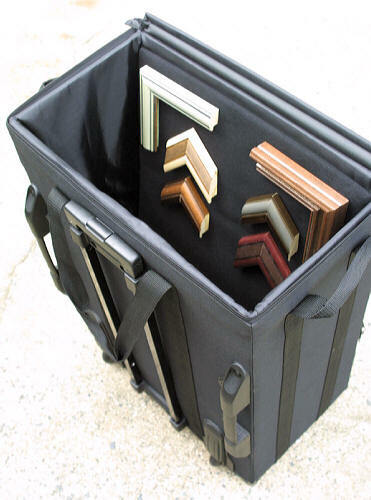 Recommended for transporting up to 6 of our 19”x25” display boards (sold separately). 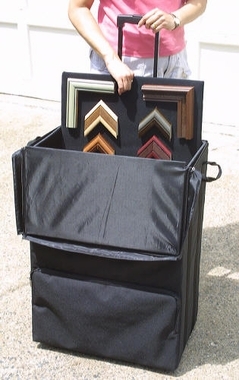 Put your samples on wheels! This compact case features built-in 3" in-line skate wheels and a telescoping handle. Convenient top-loading design for easy access. Outside zippered pocket with two compartments. Fully padded interior measures 16"x22"x8".